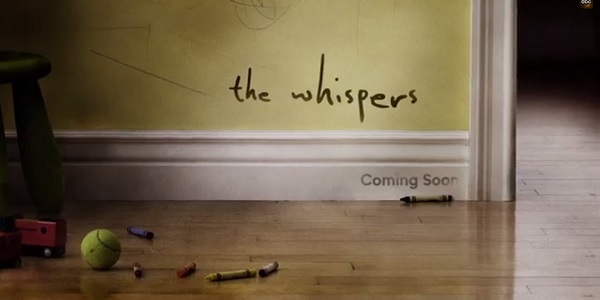 With the recently renewed drama Resurrection, ABC walked down a narrative path of not-quite-sci-fi and not-quite-horror (and not-quite-exciting), and it looks like they’re expanding their genre scope with the upcoming thriller The Whispers. From what we can tell from the trailer above, audiences can look forward to an alien conspiracy drama that probably won’t have any aliens in it. It worked for Under the Dome, so why not here? Speaking of, Under the Dome executive producer Soo Hugh will write the series as well as executive produce it, along with Steven Spielberg’s Amblin Television. The first episode was directed by One Hour Photo’s Mark Romanek, whose last trip to TV was the unsuccessful Locke & Key pilot. But I’m hearing that The Whispers is supposed to be pretty good. Wait, I think it’s just the aliens from The Whispers telling me to say that. It’s these very extraterrestrials that may be at the heart of an ongoing case being tracked by American Horror Story’s Lily Rabe as Claire Bennigan, who looks like she’ll be spending most of the series talking to adorably murderous children. It seems kids everywhere are hearing these whispers from an (alien) source that is unidentifiable, but definitely malevolent in nature. The trailer starts off by showing us a young girl unwittingly killing her mother by sabotaging a treehouse. There’s definitely something weird going on here. It sounds like these telepathic creatures have some deep-seated problems with humanity, as the only things they’re telling the kids to do are to hurt others. To make matters worse, they somehow get inside the head of the daughter of the President of the United States Chip Winters (Gary Hershberger). That can only mean one thing…tax reform! Or possibly a national threat the likes of which we’ve never seen before. While the beginning of the trailer looks like a crappy film in the vein of Hide and Seek or Dark Skies, I like how everything gets increasingly more bizarre as it goes on. 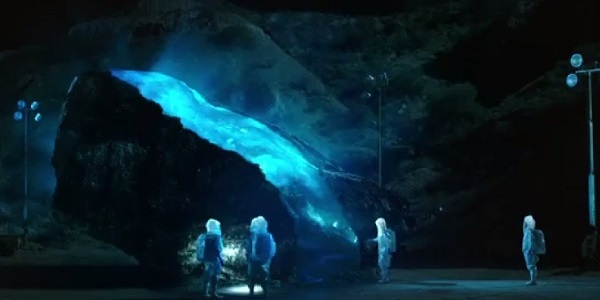 I’m a sucker for people walking around in safety suits while giant blue things are glowing nearby. I also really dig the childlike creepiness behind the title screen at the end of the preview. Grab some earplugs and blindfolds for your kids and check out The Whispers, also starring Milo Ventimiglia and Barry Sloane, when it takes over ABC in 2015. Check out ABC's 2014-2015 lineup here.